This is just a quick note to let everyone know Amazon.com is currently offering a free 30-day trial of Amazon Prime. 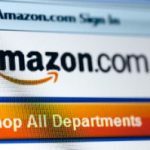 If you’re not familiar with Amazon Prime, it’s their shipping program that provides you with free two-day delivery of just about anything that would otherwise qualify for their Super Saver shipping, but with no minimum purchase amount, as well as dirt cheap overnight shipping ($3.99/item). We’ve been members of Amazon Prime since last October and have been very happy with the service. Sure, you can get most of this stuff shipped to you for free if you’re patient (Super Saver shipping can be s-l-o-w depending on where you live and what you order), and willing to group your purchases together to exceed the $25 minimum for Super Saver shipping. Even despite that caveat, I can honestly say that our Amazon Prime membership has been well worth the price in terms of convenience and time saved. This has been especially true as gas prices have moved higher and we’ve shifted more and more of our purchasing online. Just a quick word of caution… The free trial auto-renews into the annual (paid) version at the end of the month, so be sure to go in and tell them that you want to cancel if you decide you don’t want to keep it. Since signing up for Amazon Prime, we have ordered several items all of which could not be used with Amazon Prime. The items ordered were childrens toys, and several books. mreda: Go to “Your Account”, then scroll down and you should “Manage Prime Membership”. Click on that and then click “Do not upgrade”. I agreed to free trial with Amazon Prime but want to cancel… do not know who to contact to cancel my order… can you help me with this?? Tia: I’ve never made a secret of the fact that I receive commissions for certain products or services linked from this site. If you buy a book through an Amazon link, I get a small percentage. If you see an ad of interest and click on it, I get a few cents, and so on. Same goes for Amazon Prime, which I both use and love. Why? Because neither my time nor the computing resources behind this site are free. In terms of a time commitment, maintaining this site is like a second job. Moreover, traffic levels and a desire for speed and stability dictate that this site be hosted on a dedicated server, which isn’t cheap. For every person you get to sign up, you are receiving $12. Why not disclose this fact? I used the free trial early this summer when I ordered a bike trailer that I really wanted to come fairly quickly but didn’t want to pay to ship quickly. There is a way to immediately go in and set up the account to NOT auto-renew so you don’t have to remember to do it in 30 days. Read the info on the screens carefully and follow the directions. I think it took about two minutes to make sure I wouldn’t be charged the account fee. I’m usually pretty patient with the things I order online, so Super Saver (FREE) shipping works fine for us! I have a friend who uses this. It says it keeps him from adding things that he does not really need to his order to get the $25 free shipping minimum which adds up quickly to making it worth his while. @Julia – Thanks for pointing out that it is easy to share with a spouse who has separate finances, not so easy for the Barnes & Noble Readers advantage and my husband has stopped using their website and the RA program because of that difficulty. I stuck with super-saver shipping until I started buying household goods from them (like trash bags), which are moderately time-sensitive; instead of waiting 5 days to go to the store on Saturday, I get it delivered in 2 days. And since I live in Chicago (which leads the nation with a 10.25% sales tax), I more than make up for that in savings after about 3 months. There are exactly 3 companies I have brand loyalty to: Vanguard, TiVo, and Amazon. KC: Yes. We do this all the time for Christmas gifts, etc. So does it work when you send gifts? Like if I bought a book for my mother for her birthday and had it shipped to her house. Would I get the free 2 day shipping then? IF that’s the case it might be a bargain for me – most of my gifts come from amazon. I have never checked out Amazon Prime so this was a pretty cool post. Thanks. I learn something everyday. I use Amazon a lot so I am going to give their 30 day trial a go and see how I like it. Your members of Amazon Prime link does not go to their page. I want to make sure people know that Amazon Prime membership includes any family members at your residence. I didn’t know that, and my husband was bummed he couldn’t use his amazon gift certificate and the free 2 day shipping. It turns out he can! You just add their email address to that account. It’s nice also because we have separate finances, but I can share the Prime benefit without having to order things for him. Also, if you buy a gift for someone and ship it to their address, that also qualifies for free 2 day shipping. Let me tell you how often I have used that for the holidays. Not having to reship packages saves me a bundle. Do remember that Amazon has a 30 day price guarantee. If the price for an item drops within a 30 day period, you can email them or call them and ask to be refunded the difference. You can invoke this as many times as necessary in that 30 day period. (Price drops by $2? Get a $2 refund. Price drops five days later another $3? Get that refunded, too.) I got a lot refunded when I ordered a newly released camera as it dropped quite a bit that first month. There are also free services that will monitor the item’s price for you and email you when it drops. Can’t remember the website, though. I ordered a miter saw from Amazon at a great discount to what I could find locally. It was a very heavy, bulky box. I believe I invoked the standard Prime account 2 day shipping for the item. I happened to order it right before Christmas. They shipped it overnight with a Saturday delivery, and wrote a note about making sure it would arrive in time for Christmas. I felt a little guilty because that must have cost them a bundle, and there was no urgency in getting it before the holiday. But wow… that’s serious customer service! KC: We mainly do it for the convenience. Even ordering an item overnight for $3.99 is a push vs. going to the store… Wal-Mart is over 10 miles away, so we’re looking at roughly a gallon of gas round trip (not counting wear and tear and time). If we can wait 2 days, all the better, as it costs us nothing. Would we otherwise spend $79 on shipping from Amazon in a year? Nope. We’d suffer through with Super Saver and make more trips to the store. But when you factor in all the other aspects, it’s well worth it to us. This is tempting as Super saver can be oh so slow – 2 weeks sometimes. You have to really plan ahead of you want reading for an out of town trip. But $79 seems like a lot. I doubt I’d get my money’s worth out of it. I’m trying to cut back on how many books I buy since I end up getting a lot from the library. Glad to hear from someone who decided to keep the Amazon Prime service — it seems like most people cancel it after the free trial is up. I have been considering it for a while — the price is a bit high for me, but I keep thinking that I’ll one day consider it worthwhile. That being said, the remarkable thing to me with regards to Amazon Prime has been how it doesn’t seem to offer a substantial difference over super saver shipping — when it comes to books, I’ve been amazed at how quickly Amazon (and Barnes and Noble) can get books to your door even when you use their free shipping selection. I’ve been an Amazon Prime member for a couple of years. The service is outstanding, with the near instant shipping gratification, and zero shipping costs, even for heavy items. The main disadvantage is it substantially reduces friction when making a purchase, making buying stuff more tempting.